Show off your American pride at your next beach-side bash! 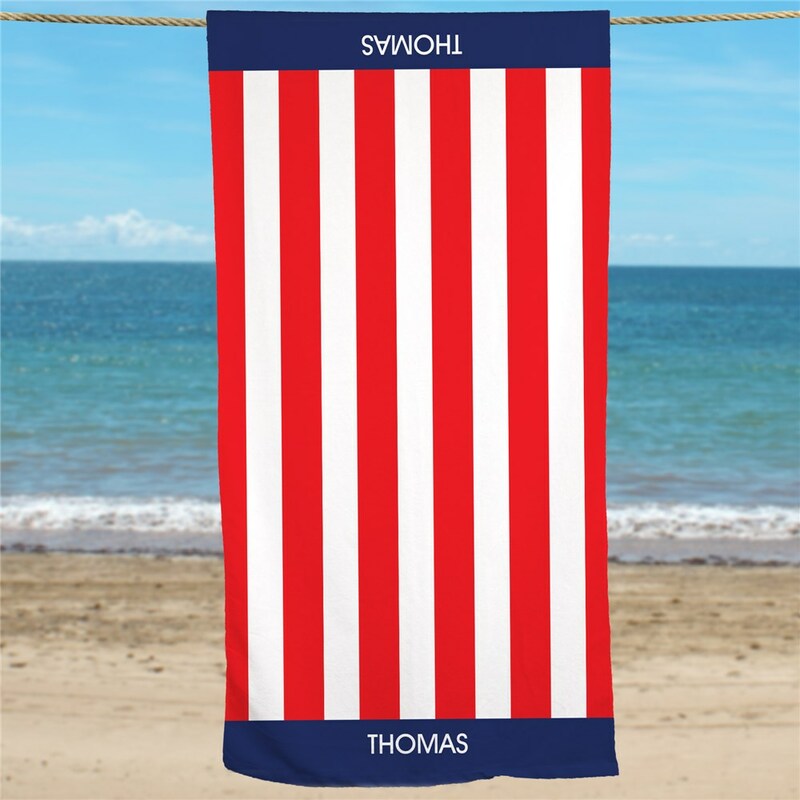 Our patriotic beach towel is the perfect poolside accessory for anyone who is truly proud to be an American. It will look great at your July 4th festivities. The towel and personalization look great! I am very pleased and I know my grandson will love it!